Hamsi, or Anatolian anchovies, could be considered Turkey’s national fish. Abundant in the Black Sea, especially during the winter, hamsi is more than a simple sea creature for the people of the Black Sea region. The Norwegians have their salmon and Turks have their hamsi. While Japan's passion for fish manifests itself through their signature sushi dishes, the Turks' passion for fish has even been introduced in cookies. The Turks' passion for fish and the lengths they will go to invent new food featuring one of their favorite flavors knows no bounds. 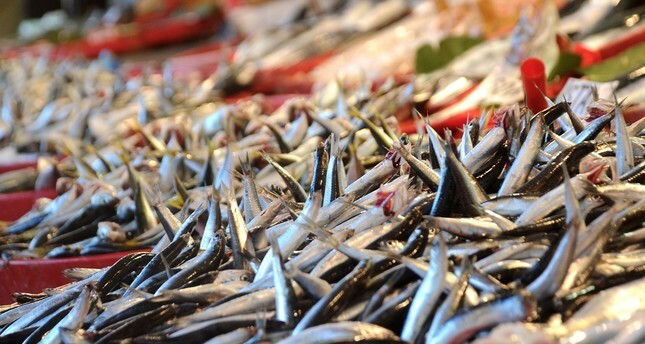 Surrounded by sea on three sides, Turkey has been blessed with an abundance of fish. Although fish is not considered a main source of food for Turks, the people living near the seas, especially those in the Black Sea region, are very creative in their kitchens when it comes to the sea dweller. Hamsi, or Anatolian anchovies, could be considered Turkey's national fish. Abundant in the Black Sea, especially during the winter, hamsi is more than a simple sea creature for the people of the Black Sea region. Locals have become very attached to all things hamsi related and, as a result, the fish has become a significant part of life in the region. Poems and songs have been written about hamsi. Bards from the north even traveled around Anatolia singing songs about the glorious fish. In fact, an entire cuisine has been devoted to hamsi in northern Turkey, and the locals use it in almost every dish. This silver, delicious beauty in all of its 12 to 15 centimeter (4 to 6 inch) glory is the tiny king of Turkish dinner tables. During the winter months, when the Black Sea is crawling with hamsi, this shiny little fish is quite a bargain. Currently, hamsi sells for TL 20 ($5) per kilogram since the season has yet to peak, but since half a kilogram is enough to feed two people, it can still be considered a bargain. There is a saying among native Black Sea people, "Foreigners eat hamsi without bones, but the people of the Black Sea eat it whole." Indeed, most people eat hamsi without removing its bones, panfried whole. Fried hamsi is the easiest way to prepare a feast. Wash the hamsi and cover them with either regular or corn flour. Place them in a large well-oiled pan and fry for a couple of minutes on each side. Turks have always respected their past, and this is also the case when it comes to hamsi. This incredible fish was once the king of the Ottoman imperial kitchen, as well. Sultans preferred to eat it with a special kind of "pilav," a dish made with rice. Although it is not as easy as the fried hamsi, Turks still cherish this tradition in their homes. To make the pilav, clean and wash the hamsi and place it in a bowl of water and lemon, a combination that prevents the fishy smell from transferring to the rice. Once the hamsi is ready, prepare the special pilav by adding diced onions to a well-oiled pan and sauteing them for a few minutes. Then add the rice, pine nuts and blackcurrants. After stirring, add your water and simply wait for the pilav to cook. Meanwhile, take the hamsi out of the water and place half in an oven-safe dish. Once the pilav is ready, pour it over the fish in the dish and cover it with the remaining hamsi. Place in the oven and bake it for 25 minutes. Voila! You may think you know everything there is to know about hamsi and every hamsi-related recipe, but the people in the Black Sea have taken their love for the fish one step further by creating hamsi pickles. Hamsi pickles are quite easy to make and similar to any other pickles. After a thorough cleaning and wash, the hamsi is stuffed into glass jars or plastic cans. Once all the hamsi is cozy in its new home, vinegar and oil are added. You can also put bay leaves and lemon in the jar. The pickles must be stored away from direct sunlight or in the fridge. Hamsi pickles can be stored unopened for more than a year.